For those of you that have a complaint about debt collection, the Consumer Financial Protection Bureau wants to hear from you! 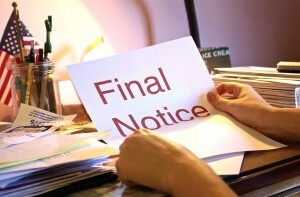 The rules on how debt collectors communicate with debtors were recently updated. The debt collection business is booming ever since the recession and there have been many legitimate complaints from consumers. While collections is a process that is necessary for businesses and individuals to recover their money, there have been many problems that the bureau would like to clear up making the process easier for everyone. The Fair Debt Collection Practices Act already protects debtors from being harassed, however this document was enacted in 1977 and requires some adaptation to modern times. The new rules seek to provide a fair balance between consumer protection and the ability of a creditor to recovery debts. The bureau has a Consumer Complaint Database on its website where you can view complaints. The bureau website has a place to file complaints.